It’s about a week since we wrapped up our stay in Italy, and we look back at a truly exhilarating weekend with our jury of globally recognized thought leaders. 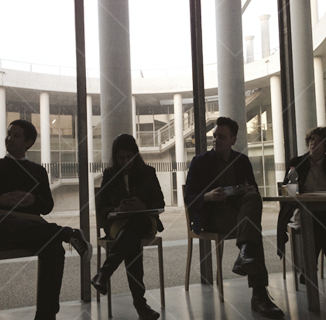 After 10 months of planning and conspiring the 2014 Interaction Awards jury gathered at the amazing Fabrica campus outside Treviso. Over the weekend in Italy our esteemed group of 6 and our jury chair went through an incredible portfolio of work from all over the world, evaluating each entry based on context, opportunity, impact and craft. It was a daunting task we asked of them. It’s was hectic, sometimes heated, and a lot of the time excruciatingly difficult to select the pieces worthy of international recognition, but our amazing Jury was up to the challenge. We’ve had a record number of entries for the 2014 Interaction Awards, and the quality of the body of entries has been amazing. In it’s third year, the Awards is delighted to see an increased amount of work from industries not traditionally associated with Interaction design, exposing projects and experiences that are not necessary mainstream, but in an of itself important and sometimes critical for their intended audience. We are also very pleased to see an increased number of entries from outside USA and Europe. We recognize that we want to see even more work from outside the traditional strongholds of our profession, and this will have a continued focus in developing the Interaction Awards moving forward. It is no coincidence that we spent the weekend in Treviso. 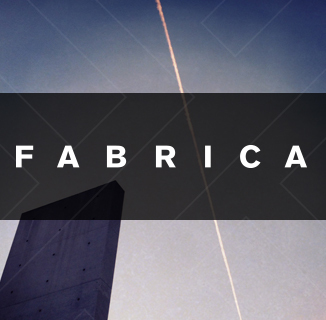 Today, we are pleased to officially recognize Fabrica as a 2014 Interaction Awards sponsor. Fabrica is a true hub for creative and disruptive discourse, and a perfect stage for the Interaction Awards jury weekend. The campus on the outskirts of Treviso house some of the worlds best creative talents across a multiple disciplines, and we are proud to welcome Fabrica on board as a champion of the Interaction Awards. We look forward to announce our finalists december 1st, meanwhile; Buona fortuna accordataci ea presto!